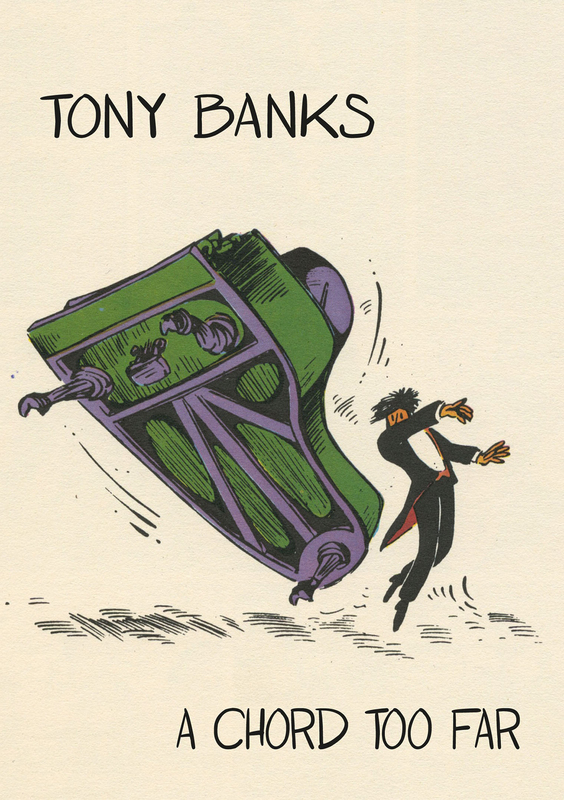 Esoteric Recordings are pleased to announce the release of the first ever boxed set celebrating the solo work of Genesis founding member Tony Banks. A CHORD TOO FAR is a deluxe 4 CD set comprising 48 songs and pieces, all personally selected by Tony. Many tracks have been remixed exclusively for this collection and have been drawn from his seven solo albums; A CURIOUS FEELING, THE FUGITIVE, THE WICKED LADY (film score), SOUNDTRACKS , BANKSTATEMENT, STILL, STRICTLY INC. and his two orchestral albums SEVEN - A SUITE FOR ORCHESTRA and SIX PIECES FOR ORCHESTRA. A CHORD TOO FAR also includes four previously unreleased tracks, three of which are keyboard demos of his orchestral suites. The fourth is a piece originally written for the album STILL. Inducted into the Rock and Roll Hall of Fame in 2010 as a member of Genesis, Tony is one of the most respected songwriters and keyboardists in the world. His career spans almost 50 years and has seen him sell in excess of 130 million albums . His body of work is as innovative as it is eclectic. Genesis' avant-garde style made them one of progressive rock's founding fathers in the 1970s, creating an experimental style of rock music never before seen. Tony Banks' solo work has continued in the same vein. His rock albums have included collaborations with some of the world's most respected musicians including singers Toyah Wilcox, Fish and Nick Kershaw , bassist Pino Pallodino , and drummers Steve Gadd and Vinnie Colaiuta , as well as long time Genesis collaborators Daryl Stuermer and Chester Thompson . He has composed original scores for four films The Shout (1978), The Wicked Lady (1983), Starship (1985) and Quicksilver (1986) and most recently his orchestral albums, Seven: A Suite for Orchestra and Six Pieces for Orchestra, that were performed by the London Philharmonic Orchestra and City of Prague Philharmonic Orchestra respectively. A CHORD TOO FAR is a fine celebration of Tony Banks' work outside of Genesis.